Sell Decks and Make Money! 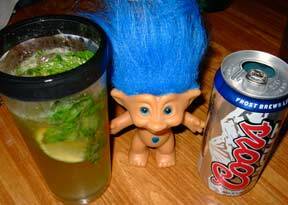 The Coors Light Beer Mojito! Don’t have any soda water on hand? Why not use the next closest thing, Coors Light! 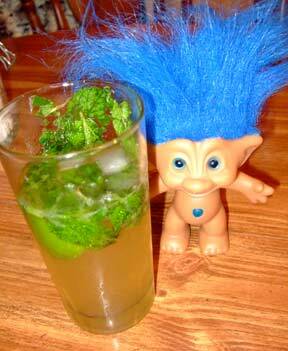 Let TrollTender teach you how to make this perfect summer drink step by step. 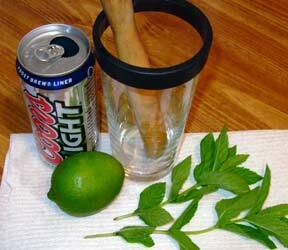 Step 1: Forage through the woods and gather: mint, lime, sugar, rum, coors light beer, and stick or muddler. 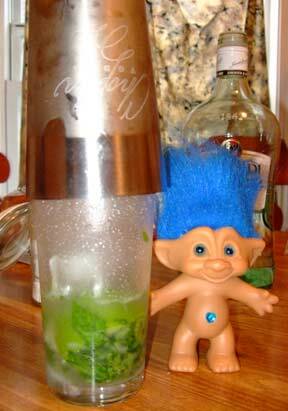 Step 2: Muddle/mash the mint leaves with 2 cube of ice, get that mint flavor in there nice and good! Keep that pimp hand strong! 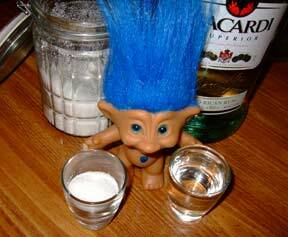 Step 3: Dump half a shot glass of sugar and a whole shot of rum in with the mint and muddle that biotch up some more. Step 4: Slice up half a lime and squeeze the juice into the mixture. 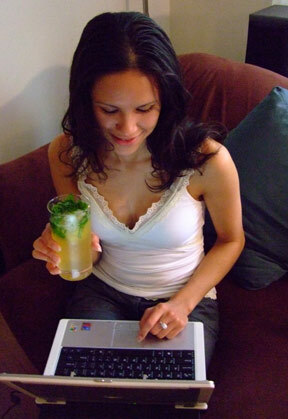 Then drop it in and muddle it a little bit… not too much though, because the lime skin will bitter as you break it! Step 6: Time for the Coors Light! Since we don’t have any soda water in the damn woods, we steal Coors Light from drunk fishermen. So just top it off with beer and stir, don’t shake it or you will have a big mess!